I hear everybody loud and clear…and I partially agree. 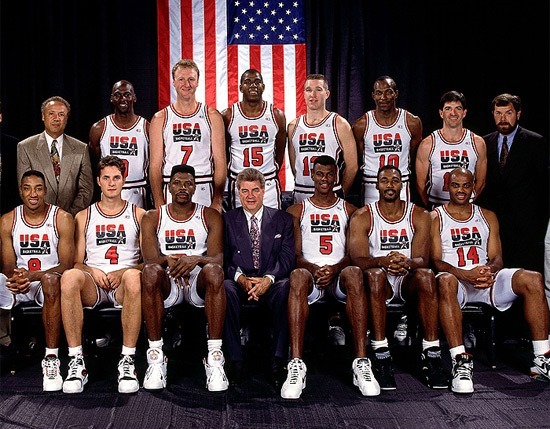 The original Dream Team was a beast. I watched them. I loved them. All I’m saying is, I keep hearing people saying that the 92 Dream Team would murder, kill, obliviate, annihilate and blowout this 2012 team. I disagree. I think they should win, but not necessarily due to talent. They were mentally tougher. People keep bringing up the game scores and how they blew people out. Yeah, yeah, yeah…they were playing against fans. Them other teams was just happy to be there. They knew they were playing for silver and bronze. The competition 1992 was playing against was nothing compared to who 2012 is playing against. 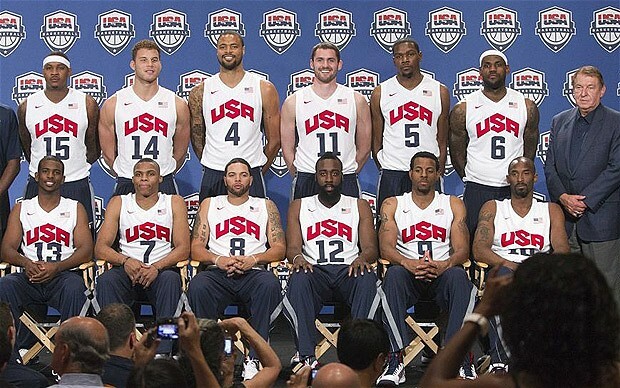 During yesterday’s game against Spain, their starting 5 all play significant roles in the NBA. I’m just saying, I’d probably choose Kobe and Lebron over Jordan and Magic. Durant over Bird…make sense to me. Yeah, I’d take D Will over Stockton. I’d take Melo over Pippen too. Even the rookie…Davis over Laetner…of course. Now, in the paint, its a different story. Ewing, Barkley and Malone was monsters. No way Love, Chandler or even Dwight could handle them. The bench players go to 1992..no brainer. Clyde over Westbrook. Robinson over Chandler. Mullen & Harden, probably a wash. I guess, we’ll never know. It would be a great game though!